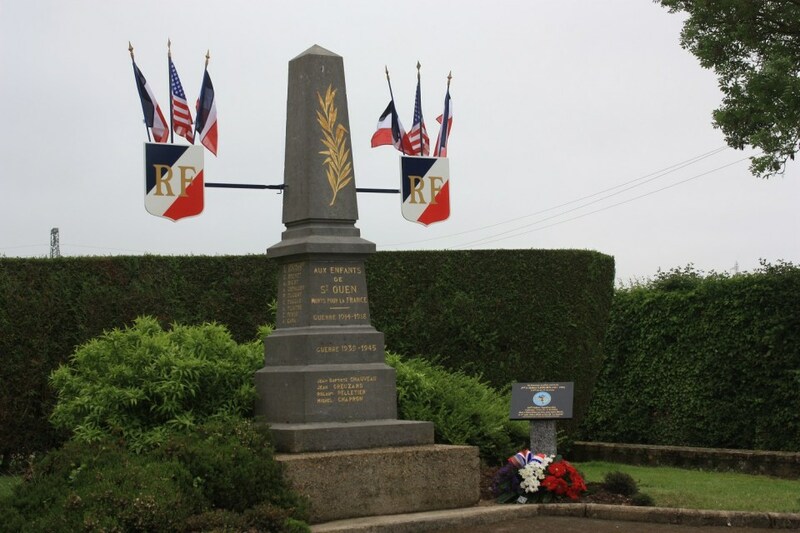 To the right of the town's war memorial, as you are facing the church. 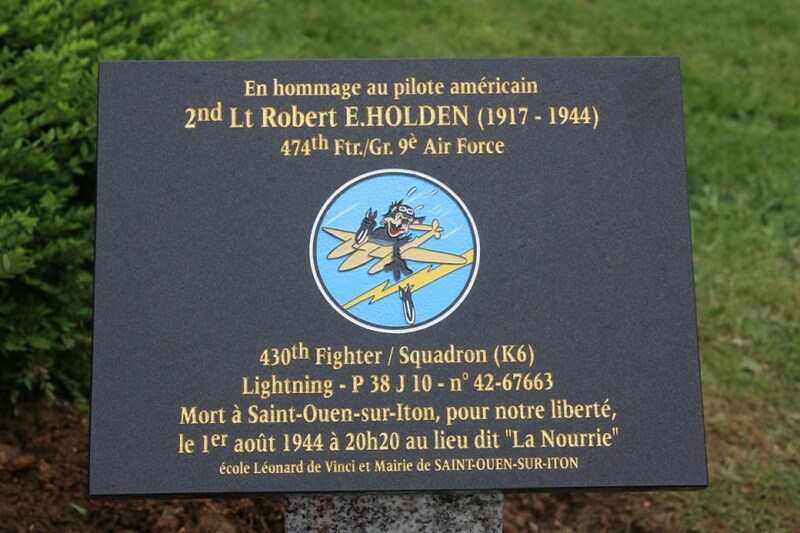 Monument A dark granite plaque mounted on a lighter granite base with French text in gold leaf and showing the unit insignia. 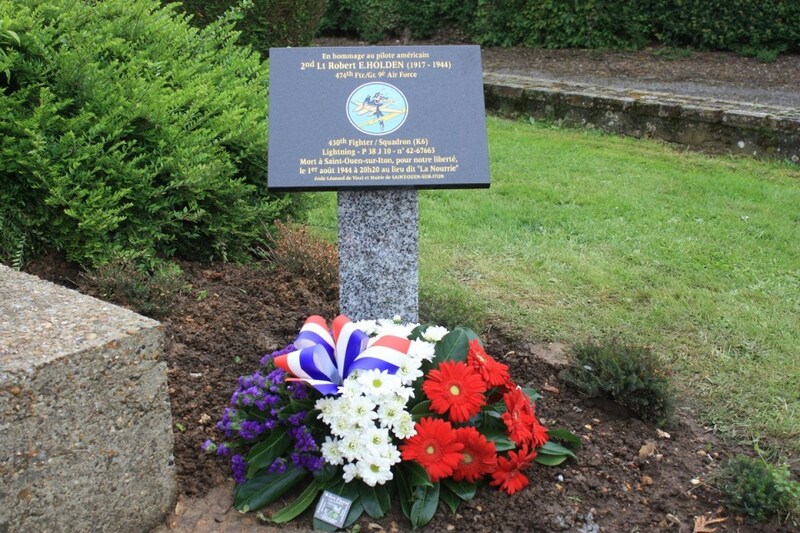 le 1er aout 1944 a 30h30 au lieu dit "La Nourrie"
the 1st of August 1944 at 8:20 pm in the area known as "La Nourrie"